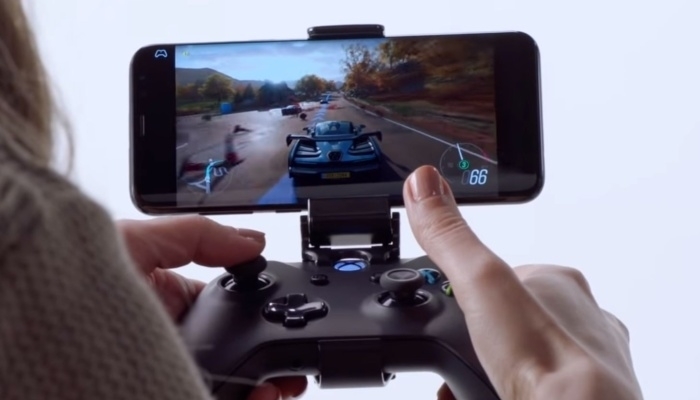 Microsoft Unveils game Streaming service xCloud. Microsoft has unveiled its game streaming service xCloud. Gamers without Xbox can thus still play Xbox games from 2019 on mobile devices. Microsoft has begun testing its service xCloud, the company reports Monday. The service enables users to stream Xbox games to their smartphone or tablet, and play with a connected controller or buttons on the screen. To make that possible, Microsoft is building the inside of Xbox One gaming consoles in its data centres. Microsoft has Azure data centres in 140 countries around the world. Games are played on an Xbox server in the nearest data centre, permitting users to play games without any noticeable delay. In 2019 Microsoft will launch a public beta test of xCloud when is explicitly not clear yet. The service is being developed for both current 4G networks and the future 5G. Last week, Google also declared a game streaming service. With Google’s Project Stream, players can play games in their Chrome browser. Just as with Microsoft, Google also plays the games in data centres and streams to the player via the internet. Google has now started a public test in the United States, where a small number of players can play the game Assassin’s Creed Odyssey via Chrome. It is still unclear what Google intends to do with the service. Unlike Microsoft, Google is not yet an established name in the world of big games.